Hello everyone, so nice to meet so many Ddung lovers here! i am Ket, an old gal on the outside but a little gal at heart! Actually I just started my collection but up to date i already have 18 mini & 7 big ones! They sure are addictive! Hope to share their photos real soon. Re: Greetings from sunny Singapore! Welcome to the forum! Wow, that is a great collection. I look forward to your photos (and seeing which girls you have). Thanks, i took out my 18" ddungs for 'class' photo today. I am lucky to get them from a seller in Shanghai who has quite a collection. Brown haired ddungs are my favorites too! Doesn't she resembles the little gal in monster inc? So cute! What model is she originally? It is impossible to find ddung in the United States, and even the overseas shops don't carry all the dolls. I totally agree, they are so difficult to find! I tried going to the korea gmarket, ebay, yesasia but none of them carries the full range. 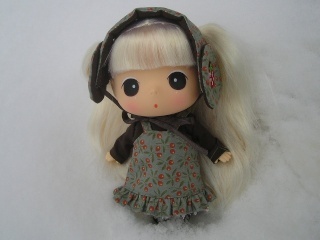 Seems like ddung is not so commonly available like pullip? They should be quite popular in China considering many replicas come from there... lol! But there are sellers who sell the real dolls too in 'taobao' which is similar to our ebay. its in mandarin though..
Hello and welcome. Your collection is awesome and so cute. Thank u!! I have just added a pinkie ddung to my collection. She's so cute. Great photo.